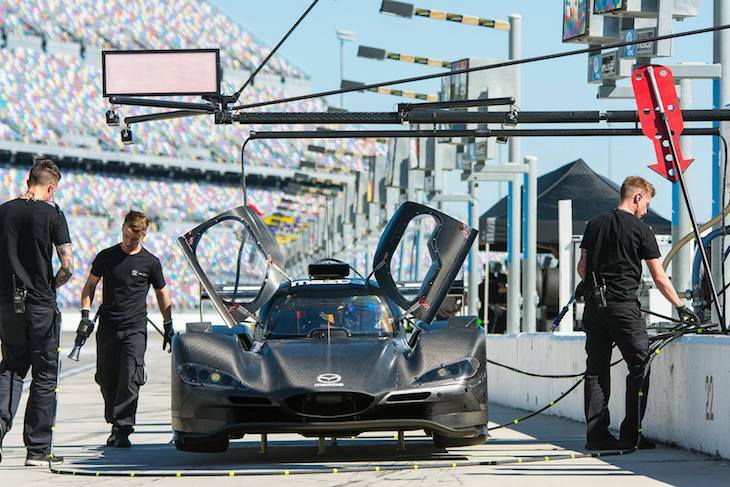 A belated catch-up with Multimatic’s Larry Holt in Shanghai revealed some outline details of the revisions made to the Mazda RT24-P DPi that tested last week at Daytona International Speedway. 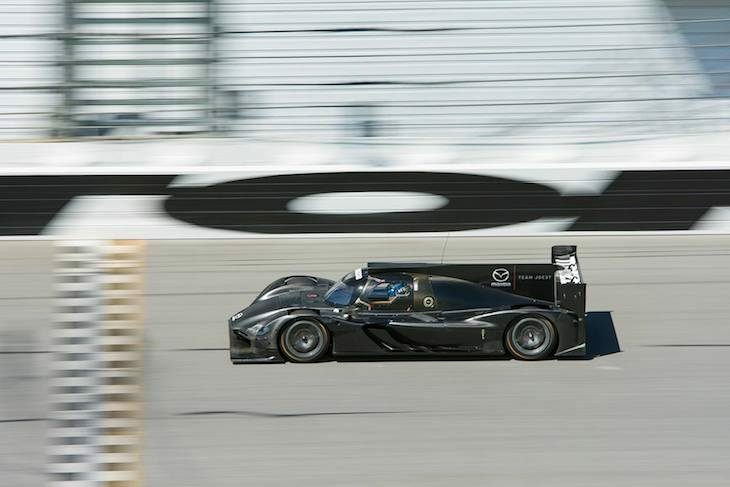 In part that is a decision linked to the styling done by the Mazda Studio, the RT 24-P undoubtedly one of the most attractive prototypes currently racing. Some minor improvements could have been made, but on balance the 2017 bodywork remains essentially untouched. Under the bodywork though there are very significant changes. As relayed to DSC back in June by Holt the DPi was, rather unusually, a car which bore Multimatic’s name that did not feature a single suspension component from Multimatic, a renowned suspension centre of excellence. That’s all changed now with a totally new suspension set-up, significantly reduced friction, and a major improvement in the handling and balance of the package. The other major shortcoming of the package previously was understood to be in the area of cooling, Holt concurred, the initial cooling package was some 30% smaller than the optimum, another issue now solved. Another significant part of the revisions surround the front underbody aero, an area that underperformed and caused balance issues last season. That has now been attended too, design team, and drivers pronouncing themselves very happy with the results thus far. Engine and exhaust revisions too are part of the package, and the RT24-P now has a very different, and rather more aggressive soundtrack. 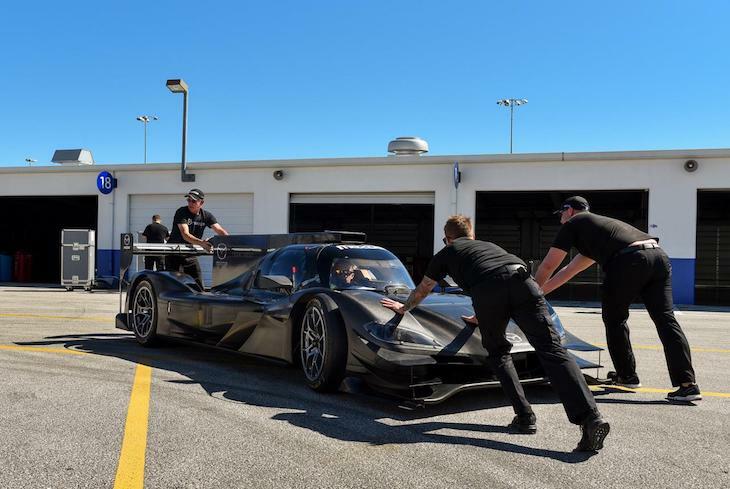 The Daytona test was, DSC understands, a major success, the car performing well, and reliably as the now Joest Racing run effort preps for a significant up-step in competition in 2018 with the dawn of the Penske Acura effort, and well bedded in Cadillac (with an additional car expected to the current trio) and already race winning ESM Nissan efforts. 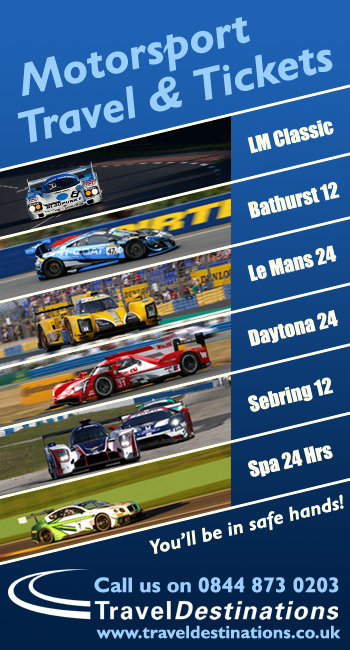 Add in too a significantly bolstered ‘Global’ LMP2 field for the full IMSA Championship which will include another Riley Multimatic chassis, Brian Alder’s BAR1 having bought the now ex-Ben Keating chassis that raced at Le Mans in 2017. The car will benefit from the chassis and bodywork upgrades undertaken by Multimatic at no cost to them, as per the ‘Joker’ rules. The revised RT24-P will be seen for the first time in public at the IMSA test at Daytona next month.